If you live in Florida, there’s a 99.9 percent chance you’ll agree that September brought a mix of crazy, stressful, devastating, miserable, and frustrating emotions. Hurricane Irma affected Florida in a massive way. Thank you for reaching out and sharing with us how you and your family are doing. We hope you are well and enjoy your September Highlights. 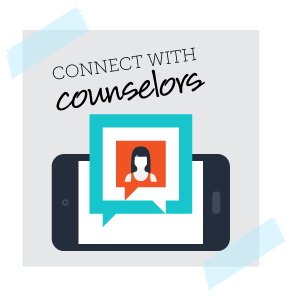 Your FLVS School Counselors are a direct line to academic advising, college and career planning, SAT/ACT information, scholarships, and more. And while School Counselors are here to support you for your academic and career planning, they are also here to support you in the tough times. To get in touch with your FLVS Flex school counselor, call 407.513.3587, follow us on Facebook, or visit our FLVS Counselors & Advisement page. FLVS is proud to join the nation in celebrating National Hispanic Heritage Month (Sept. 15 – Oct. 15) as a reminder of the contributions of Hispanic and Latino Americans. 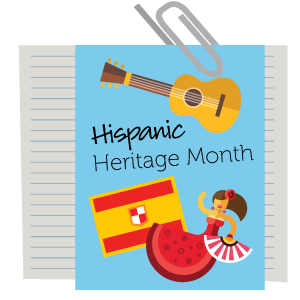 In honor of this month, FLVS will host several distinguished guest authors and speakers from the Hispanic community who will share stories about how their Hispanic heritage has impacted their lives. Students of all grade levels can also join sessions that include learning how to make Argentinian empanadas and the history of dance. View the full schedule here! Would you like to submit your writing, artwork, or photography for the next edition of Virge Magazine? FLVS is accepting entries for the Fall 2017 issue. 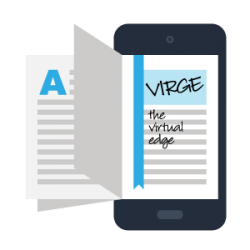 All current FLVS students are eligible to submit original work to be considered for publication in Virge, which will be published in December 2017. This year’s theme is “ReImagine,” and your work should adhere to the theme as you interpret it. All entries must have a completed submission form, and meet the guidelines found on the Virge webpage. For more information and to download the entry form, click here. Tell us where FLVS will take you in 20 years! FLVS has come a long way since 1997. In honor of our 20th Anniversary, we want to see how you have grown thanks to FLVS and where you are headed in the future! Extend your creative side with our #IAMFLVS social media contest which launches on Oct. 2 and runs until Nov. 6. Three winners will walk away with a free iPad! 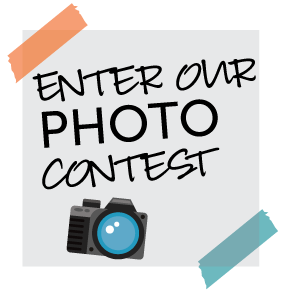 To enter, students are asked to submit a picture and caption on Facebook, Twitter, or Instagram that showcases how FLVS has shaped you into the student you are today, and will contribute to where you see yourself in 20 years. Remember to include #IAMFLVS in your description! Then, vote on your favorite photo on Facebook. One winner will be chosen at random, one by our judges, and one by your vote! Follow us on Facebook for more information as the contest begins next week! With 24/7 availability, you can earn your course credits online and still enjoy all your favorite fall activities. 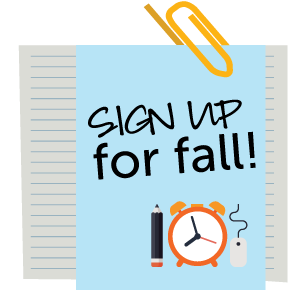 Get started now at FLVS.net/fall. Our FLVS Flex Elementary program is also still open for enrollment, including after-school Spanish classes! Learn more about this option for students in grades K-5 here. Interested in enrolling in FLVS Full Time for next semester? We’ll be announcing dates soon for select grades that will have space for spring 2018. Follow FLVS Full Time on Facebook for updates! This entry was posted in Educator Edition, Full Time Edition, Homeschool Edition, Parent Edition, Student Edition and tagged #IAMFLVS, 20th Anniversary, Academic Advisement, Access to Online Learning, Advisement, Contests, Enrollment, Fall Online Courses, FLVS Clubs, FLVS Corkboard, FLVS Flex Elementary, FLVS Student Activities, FLVSK5, Hispanic Heritage Month, Newsletter, Online Elementary School, Online Summer Courses, Photo contest, Scholarships, School Counselors, Student Activities, Student Arts, Student Success, Student Updates, Success Stories, Virge, Virge Literary Magazine on September 27, 2017 by The Virtual Voice. how come do they not think about how the people who do schooling at home and can’t go to the schools won’t be able to do the stuff that they wanna do unless it is virtual like robotics class. We have several clubs who sometimes get together face-to-face and our student activities are a lot like those you find a traditional school! Learn more at http://www.flvs.net/clubs. If you’re interested in sports, there are also opportunities to participate in these activities at your local public school. Are there any clubs that meet face to face? If so which ones? Maybe I missed it, but where can I submit my art works for virge? Why does FLVS not have any creative musical clubs? This could inspire lots of students to pursue new/different forms of art/expression. Great suggestion! Feel free to share this with our Student Activities Coordinator to see if a teacher may have any interest in being a club sponsor. You can find her contact information at https://flvs.net/clubs. The good clubs are mostly for the older children. Why aren’t there clubs like that for elementary students? There should be clubs that are like those so that they can grow their liking of that topic so that they can join the club when they get older and they will actually know what they are doing.